Everyone wants to have clear, beautiful skin and long, luscious locks but not all of us can (or wants to) be on a first name basis with our dermatologist and hair stylist. So instead we try over-the-counter beauty regiments that are just too rigorous to keep up with for more than a few weeks. After all, who has the time and energy for a five-step facial cleanse before running out the door in the morning? Sigh, wouldn’t it be nice if we could just wake up already looking gorgeous, our skin glowing and our hair naturally flowing behind us? Sounds like wishful thinking, but it’s actually possible to rise and shine in the morning with naturally beautiful skin and hair. How? The secret is to switch to organic bamboo sheets. First, sleeping on premium bamboo reduces hair breakage. Second, bamboo prevents your pores from becoming blocked. Let’s start with why your hair breaks in the first place. The most common reason why your hair breaks is due to friction. As you know, friction is caused when two rough surfaces rub against each other. So, when you’re tossing and turning at night, your head is rubbing against your pillow, causing your hair to tear and break with each motion. Therefore, friction is the culprit in destroying your luscious locks. So, how does bamboo reduce the amount of friction your hair endures while you sleep? Well, the secret is that bamboo is an astonishingly smooth fabric. In fact, bamboo fibers are significantly smoother than cotton, the material used in traditional bedding. As a result, there are fewer rough edges for your hair to catch on and break against while you’re snoozing. 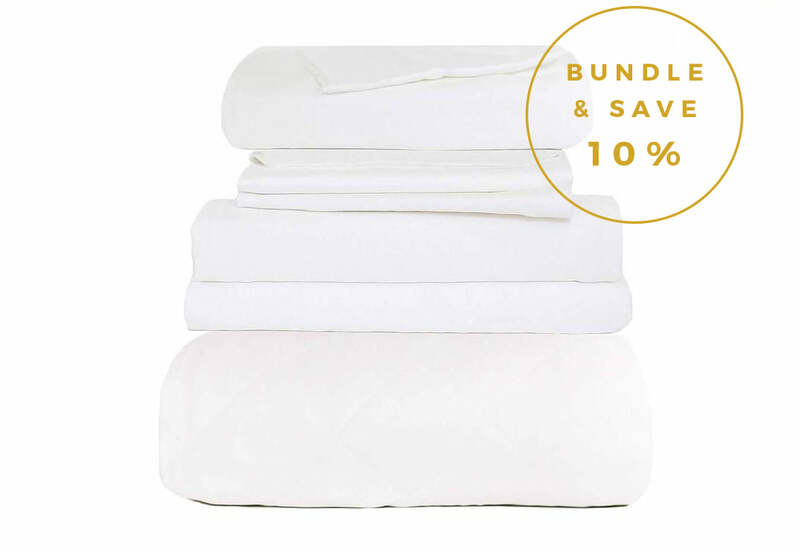 Moreover, premium bamboo sheets (like Cozy Earth’s) are only made using long-strand fibers. This means that the bamboo fiber stretches across the entire length of the sheet as one smooth, continuous thread, reducing the friction even more. In contrast, cheap cotton bedding overlaps short fibers to give the allusion of one long thread. However, this leaves rough fiber ends exposed throughout the fabric, which is why conventional sheets are so rough and hard on your hair. By reducing the amount of friction, bamboo prevents your hair from breaking, giving you the smooth, luxurious mane you’ve always dreamed of. Now that you’re waking up with a dazzling head of hair, let’s move onto your skin. How does bamboo prevent your pores from becoming blocked to help clear up your complexion? Well, bamboo is an exceptionally clean fabric. First off, it has a phenomenal wicking ability that helps your sweat and other body oils to evaporate quickly. Consequently, you aren’t rubbing these oils back into your skin when you snuggle down into your bedding at night and your pores remain clear. Secondly, bamboo contains an antimicrobial agent called bamboo-kun that naturally kills bacteria and other microbes. Less bacteria means there is less of a chance of your acne or broken skin becoming infected, which helps any acne you do have to heal faster and lets your naturally beautiful skin shine. In summary, Cozy Earth bamboo bedding significantly improves your complexion because it reduces the amount of friction on your hair and prevents your pores from becoming blocked. However, bamboo doesn’t only help you realize your true beauty; it also helps you to live a happier and healthier life. To discover how, peruse Health Benefits of a Comfortable Sleep and uncover four amazing health benefits you enjoy when you sleep under bamboo.